a and b are parallel lines. They are cut by transversal c. Drag the blue points on c to move the transversal. How does this affect the angles formed by the intersection of a and b with c? Which angles are always congruent? 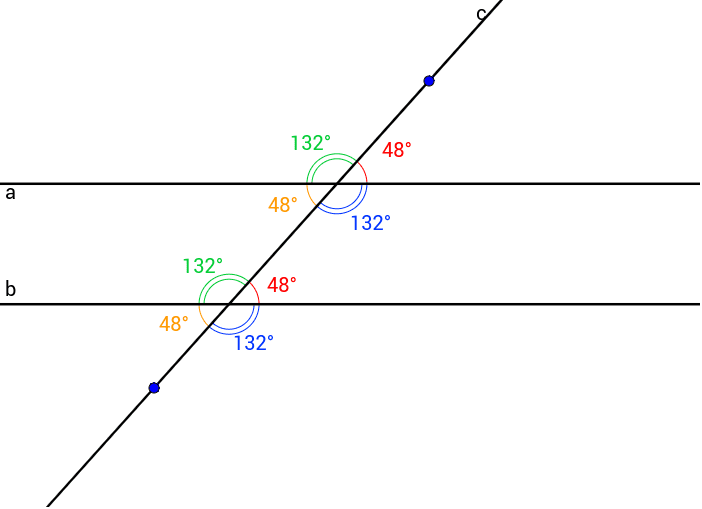 Which angles are always supplementary? Note: Do not allow the blue points to fall inside the parallel lines or the angles will disappear!